In 2019, the easiest way to give yourself a bit of breathing room from student debt is to simply put your loans on pause, which you can do easily via a Federal Student Loan Deferment. 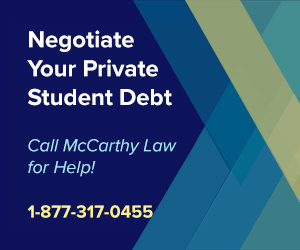 One of the easiest deferments to qualify for is the In-School Deferment Program, which allows anyone with federal student loan debt to completely pause repayment as long as they’re attending school at least half time. 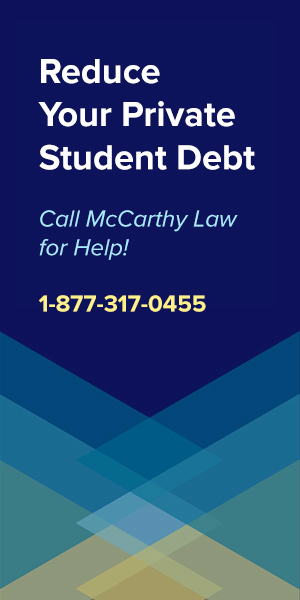 Keep in mind, though, that you can only qualify for an in school deferment (or any other deferment program for that matter) if your loans are not already in Delinquency or Default, so you do need to make sure to apply for the deferment before you miss a payment. This is the easiest deferment program to get accepted into, since the requirements are so simple – all you have to do is be enrolled at an “eligible institution” at least half-time, and you’re guaranteed to get approval. What’s an “eligible institution”? A school, university or other educational organization that’s been accredited by one of the Department of Education’s recognized accreditation agencies. For a list of schools that qualify as “eligible institutions”, you can access the Department of Education’s official database online, here. If your school is on that list, and you’re enrolled in classes at least half time, then your student loan will qualify for an in-school deferment. One of the best parts about getting an in school deferment is that it lasts as long as you meet the eligibility guidelines. So – unlike the Unemployment Deferment, which is doled out in 6 months increments, your in school deferment will remain active as long as you continue to attend school at least half time. That’s especially helpful for students in long Masters programs, PhD programs, medical school, dental school, or other educational programs that prevent you from earning a full-time salary, so if you find yourself in one of those situations, then you’ll certainly want to look into this program. 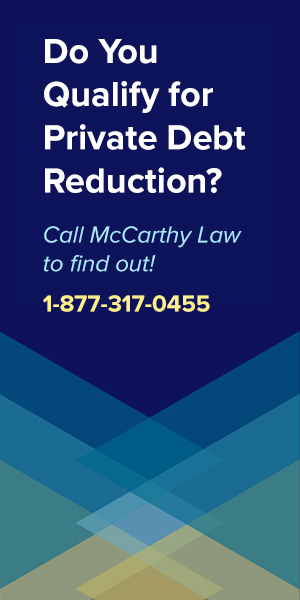 Don’t worry about Summer vacation or other breaks, because eligibility guidelines stipulate that your in school deferment can span periods shorter than six months between academic terms. 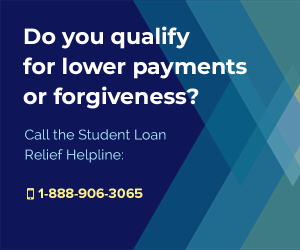 There’s good news and bad news about deferments – the good news is that it pauses the repayment on your loans, so you won’t have to make monthly payments at all, no matter which Federal Student Loan Repayment Plan you’re enrolled in. The bad news is that for Unsubsidized Loans, your loan will continue to accumulate interest, even while it’s in deferment. 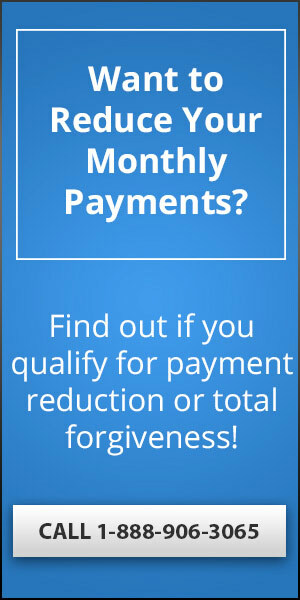 To be clear, if you’ve got a Direct Subsidized Loan, you won’t be charged any interest while your loan is in deferment. 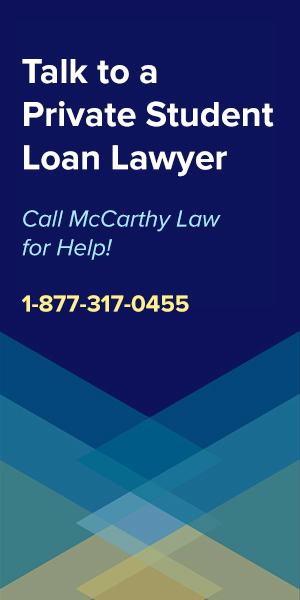 But if you have a Direct or FFEL Unsubsidized loan, or a PLUS loan, you will continue to be charged interest even while your loan is in deferment. 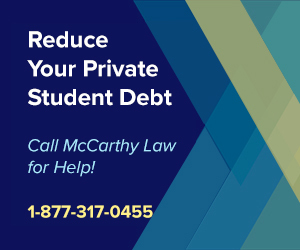 Here’s the problem – if you’re getting charged interest during an in school deferment, but you aren’t making interest payments on your loan, that additional interest will be “capitalized” after your deferment period ends, adding to the pincipal balance of your loan and making it more expensive in the long-run. So, if your your is subsidized, don’t worry about making interest payments while your loan is in deferment, but if it isn’t subsidized, then you’d better be prepared to continue paying off interest, or you’ll end up with a much more student loan debt than you originally anticipated. How Do I Apply for an In-School Deferment? It’s pretty easy to apply for this program. 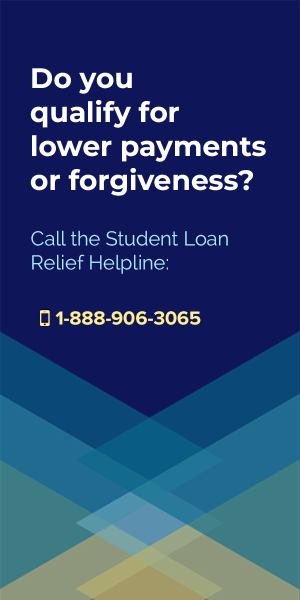 All you’ve got to do is download the in school student loan deferment form, fill it out, and submit it to whoever services your loan (whoever you make payments to). 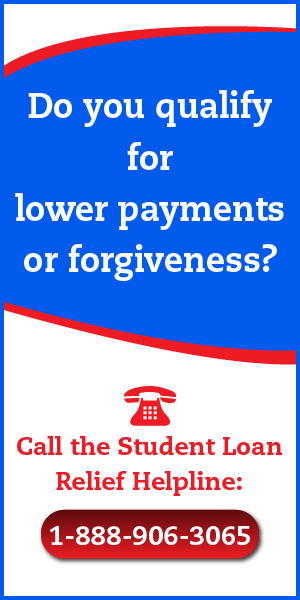 To find the form, grab it from the StudentAid.ed.gov website (or simply click here). Keep in mind that you can’t stop making your student loan payments until you’ve been notified that the deferment is in effect, and that it could take a week or two for that to happen, so don’t just stop making payments until you’ve officially been notified that your loans are on pause. If you’ve got any additional questions, please feel free to ask away in the comments section below. I review Comments on a daily basis and will get you a response right away! 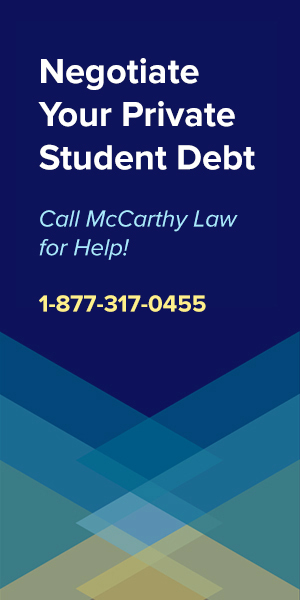 Alternatively, check out some of the Guides I’ve developed covering all the aspects of the student loan repayment process. 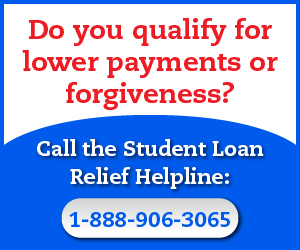 You’re virtually certain to find some kind of student loan relief from one of the programs listed above. But if you can’t, and still have questions, don’t forget to use my Comments below. Just make sure to tell me if your loans are Federal or Private, as I’ll need to know in order to give you any useful advice. I am not lying when I say that running this site is akin to having a 2nd full-time job. I spend hours and hours each day watching the news, researching new benefits programs, writing new posts and updating old content. I can only keep spending so much time here if you help me out by spreading the word that this site is the best resource on the web for information about student debt. If you found my content helpful, then please take 30 seconds to help me out in return by posting a link to my site to your Social Media accounts, wherever you spend time. Facebook, Twitter, Reddit, or even old-school Emails, it all helps, and it’s all important in keeping me motivated to continue writing Guides just like this one!